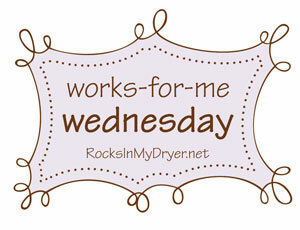 I’ve been following lurking around the RocksInMyDryer blog for a little while now and have been thoroughly enjoying her “Works for Me Wednesday” posts. She usually has it open to everyone to post their own links for whatever topic she’s designated and I wind up spending a few minutes hours following all the links to great posts. So, this week’s topic was 5-ingredient recipes. My kind of cooking! Needless to say, I’ve spent lots of time perusing everyone’s creative ideas and have bookmarked several to try out. The first recipe I tried was for Egg & Sausage Muffins at ISpeakBeanish. They turned out great!! I added some cheese (hello – I AM a cheese-aholic!) and then I blended up some fresh yellow squash and zucchini to “hide” inside the egg mixture that you pour over the sausage. You couldn’t even taste the veggies (thank goodness, otherwise my family wouldn’t have eaten them) and the two oldest kiddos LOVED them. We had plenty leftover for breakfast the next day and I’m about to freeze the rest to have on hand for whenever Shawn needs a quick breakfast to go with his morning coffee. You know, if you read any of this blog, that we planted fresh herbs for Earth Day here with the kiddos. (Which reminds me, I still need to show you all my pics of our fun day!) While we did give some of them away as gifts for Mothers Day, I still have some fresh parsley, rosemary, and oregano on my windowsill. And since I’m not exactly the world’s best cook, I wasn’t really sure what to do with them all. 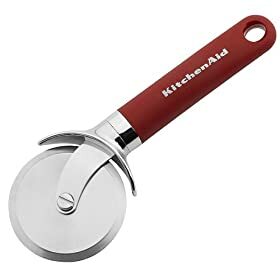 I mean, I know you can use all three of those in spaghetti sauce if I ever made my own from scratch, but other than that? And this is where we all thank God for Google and the internet and other bloggers out there that write about the things that they do! I ran across this article on using fresh herbs and how to pair them with foods. Great resource to keep bookmarked and refer back to when you’re cooking and want to try something new, but don’t know which herbs taste best with which foods. Check out Lunch in a Box. Let me know what you think and what creative ideas YOU have, too!